Government has hired helicopters to help patrol selected areas where illegal harvesting of timber is rampant. Lands, Natural Resources and Environmental Protection Minister Mwansa Kapeya has confirmed the development in an interview with ZNBC News. 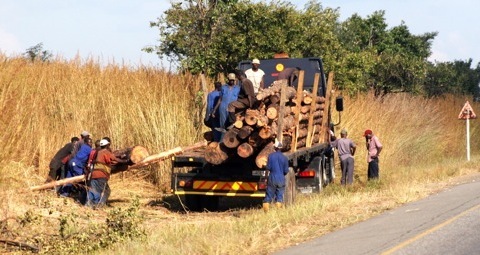 Speaking to ZNBC news, Mr. Kapeya has warned that Government at the highest level is fully involved to ensure that timber is not illegally harvested by selfish individuals. Selected parts of the country have witnessed rampant illegal harvesting of timber. A Chinese national was last week arrested for illegal timber trade.